Timothy R. Koval is an associate of the Firm practicing primarily in the areas of corporate and commercial transactional law, real estate, and business and commercial litigation. He is a member of the Nevada State Bar. Raised in Incline Village, Nevada, Tim earned his bachelor of arts degree in economics from the University of Nevada, Reno and his juris doctorate from the William S. Boyd School of Law at the University of Nevada, Las Vegas. While in law school, Tim served as an extern for District Judge Larry R. Hicks of the United States District Court, District of Nevada. Tim also served as a mediator for the Clark County Neighborhood Justice Center and was an articles editor for the Nevada Law Journal. 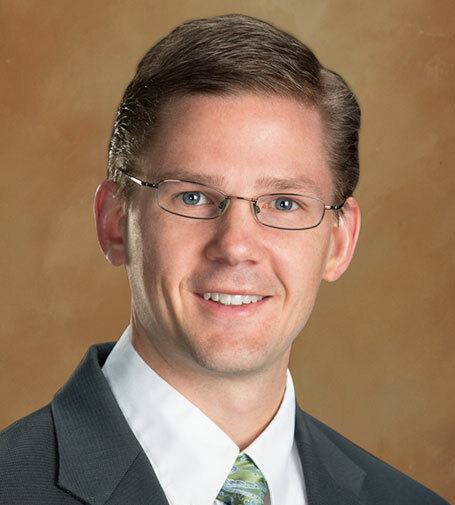 After graduating from law school, Tim began practicing law as an associate of the Firm and has since represented clients in a variety of business transactions and commercial disputes. Tim enjoys spending time with his family and playing sports. Represented a medical practice in negotiating a multi-million dollar asset sale. Represented multiple businesses in complex agreements to sell their assets to a major insurance intermediary. Negotiated resolution of multiple commercial equipment rental and sales contract disputes on behalf of a national construction equipment rental company. Secured a six-figure award for his client in a bench trial concerning a defamation claim against a major banking institution. In Strategic Leadership Services, Inc., et al. v. St-Pierre (JAMS Arbitration, Las Vegas, Nev. 2013), Tim secured an arbitration award of approximately $1 million in his client’s favor following a one-week arbitration trial involving a contract dispute between a world-renowned UFC mixed martial arts fighter and his manager. In Bardzik v. Paris Las Vegas Operating Company, LLC (State Court Case Number A595047), Tim secured a dismissal of Plaintiffs cause of action for strict products liability. The Court stated that an “in-ground, non-mass produced swimming pool” is not a product under Nevada law. The Court also stated that Paris, as the owner and operator of the pool, cannot be liable for strict product liability under Nevada law because it is not engaged in the business of manufacturing or selling such products. In Jones v. Ahern Rentals, Inc. (State Court Case Number A620134), Tim secured summary judgment on behalf of Ahern Rentals, Inc. on the issue of punitive damages pursuant to the new punitive damages standard outlined in Countrywide Home Loans, Inc. v. Thitchener.The issue was of particular importance to the client, as it protected the company’s confidential, proprietary, and sensitive financial records in the litigation.